The masterful author who brought you the Hellraiser films and countless successful horror novels tries his hand at video games with this creepy, haunting saga. Set in the early 1920s, the action takes place in the Irish countryside and revolves around a plagued fellow by the name of Patrick Galloway. Full of terrifying twists and turns, the game follows Galloway as he's haunted by specters--an ailment that will slowly drive him to the brink of insanity over the course of the game's many chapters. He'll have both magic and some powerful weaponry to help him through his journey, but as the plot thickens, so does the level of difficulty. Blending fever-pitch action with a deep, thorough story, Clive Barker's Undying is chilly enough to keep you up at night and addicting enough to occupy you for weeks. 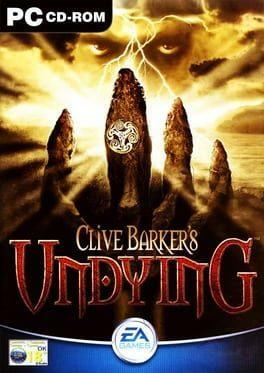 Clive Barker's Undying is available from 5.39 to 5.39 from 1 shops.